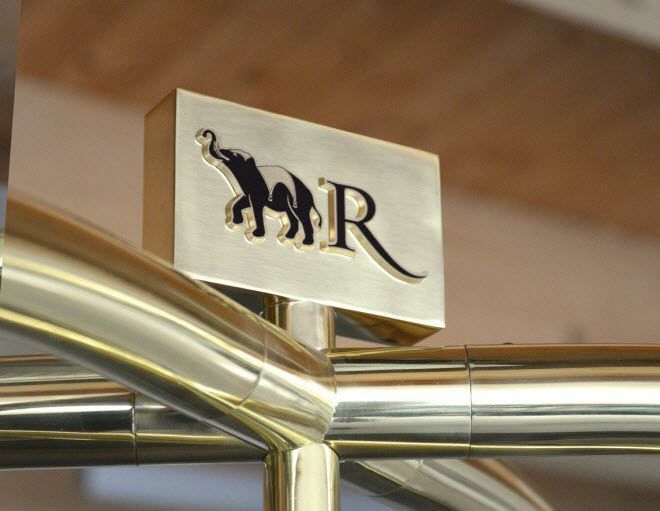 Structure in polished brass or steel with polished or satin finish. 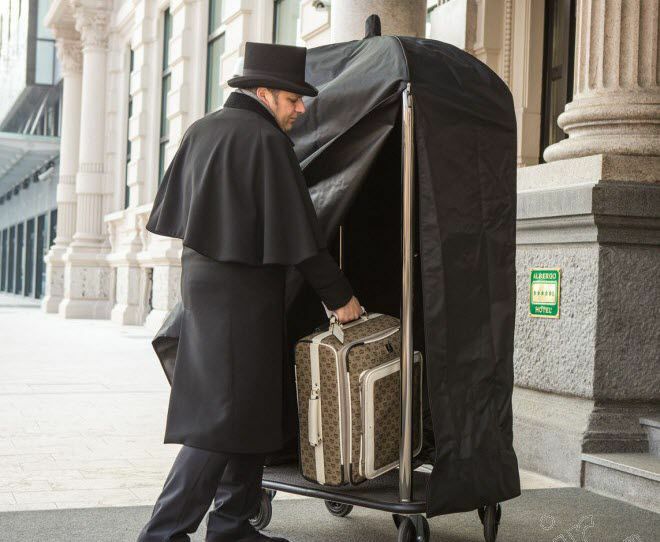 The luggage platform is in plastic-coated box-type metal suitable for external use. 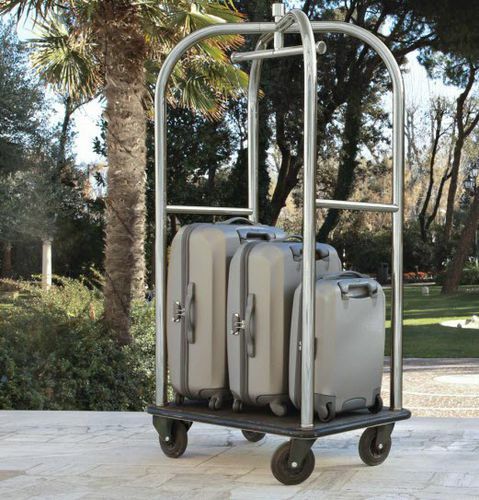 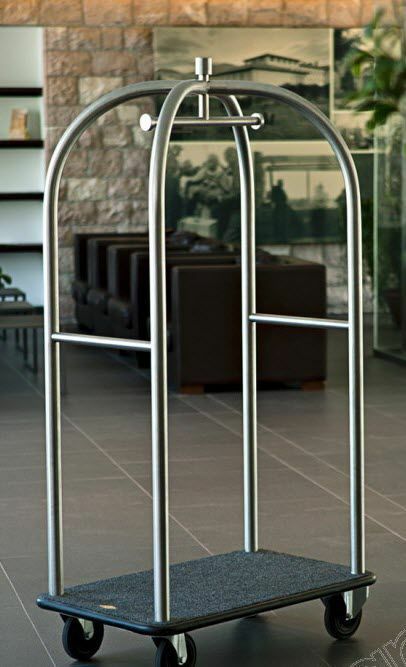 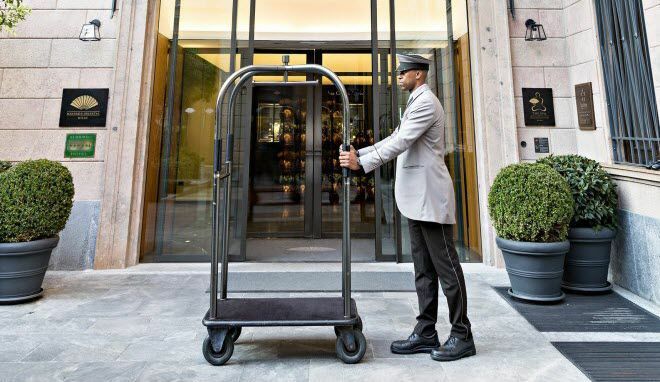 Furthermore, this hotel trolley is fitted with two fixed and two swivel castors to facilitate handling.